Yahoo editors have selected this article as a favorite of 2013. It first ran on Yahoo Small Business on May 31 and was one of the most popular stories of the year. The article describes how teenager Madison Robinson won big success for her line of colorful flip flops for kids. She launched her business two years ago, but Houston teenager Madison Robinson has yet to face something most new entrepreneurs do: rejection. 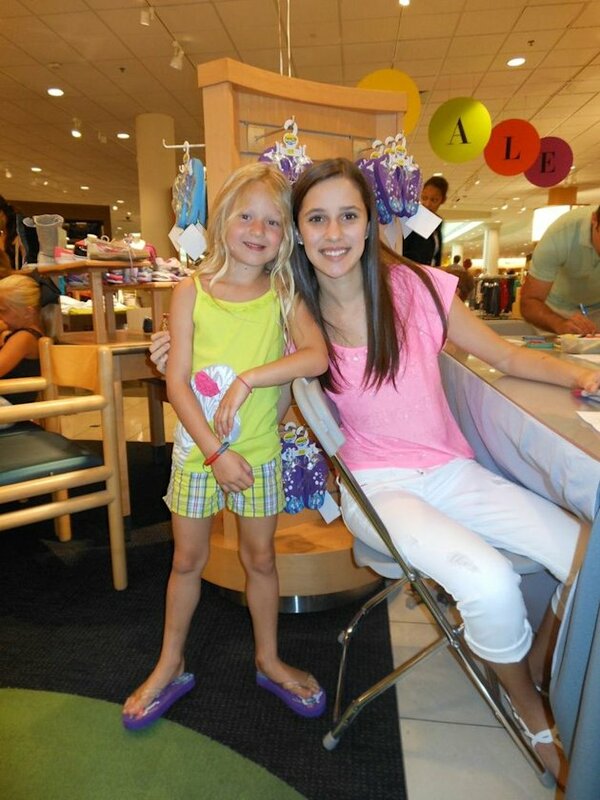 Every store buyer she has approached has placed an order for her Fish Flops for Kids shoe brand. Robinson came up with the idea for her sea-creature-adorned flip-flops with battery-operated lights when she was just 8, living at the beach in Galveston Island, Tex. Her dad Dan, a former banker turned t-shirt designer, helped her turn her drawings into a product and get samples made. More than 30 stores placed orders the first time they exhibited at a trade show, so he hired an overseas manufacturer and started shipping in May 2011. Launched with “friends and family” financing, the enterprise is already profitable, the elder Robinson says. The shoes now sell online, in various retail boutiques, and at 60 Nordstrom stores nationwide for around $20 a pair. They’re also coming soon to FlipFlopShops.com, and Macy’s buyers in New York recently asked Madison to design a line for women. More than 60,000 pairs sold in 2012, making for retail sales of at least $1.2 million. That&apos;s not all Fish Flops&apos; income; the Robinsons sell wholesale. But Dan Robinson says it&apos;s safe to say that his daughter, who is about to complete 9th grade, has already socked away enough profits to cover her college tuition. The 15-year-old draws all of her own designs and chooses color combinations digitally, but has also learned how to pack shipments, stock the warehouse, explain her pricing, host a tradeshow booth, and make a sales pitch. Several ideas that came from the kindness of her heart have also turned out to be savvy business moves. Her offer of free Fish Flops and volunteer work for a charity that supports the children of fallen military heroes led to a major order from the Army’s Post Exchange stores. 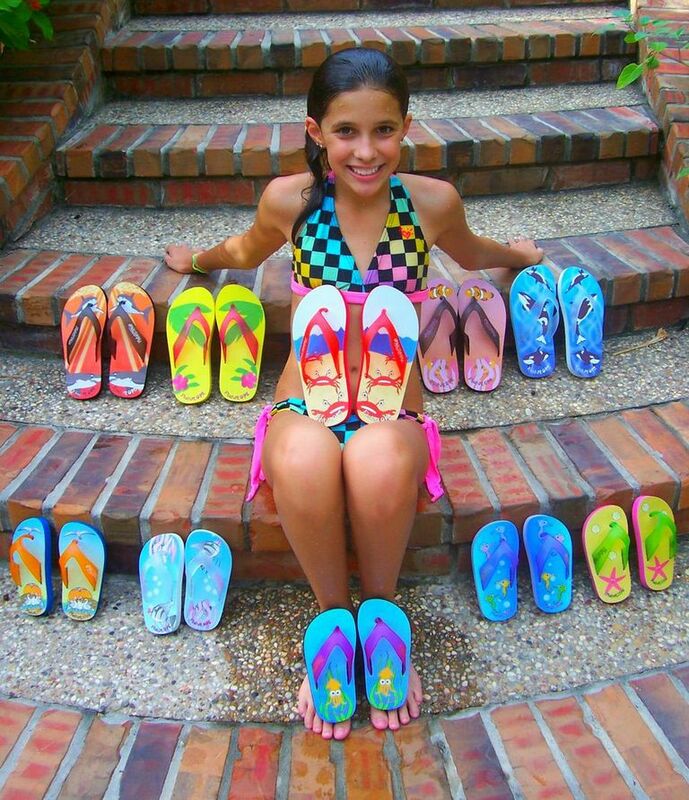 At the Teen Choice Awards in 2011, she got celebrities to sign 300 pairs of Fish Flops for Texas Children’s Hospital patients. And by donating 10,000 pairs of Fish Flops to a community shoe drive and supporting the Texas Parks & Wildlife’s K-12 State Fish Art Contest she has garnered some good press. Robinson says she’s learned more than just how to run a business in two years. “When I go shoe shopping now, I look carefully at the quality of the materials.” Fish Flops, she says, are sturdy and made without punch-out holes in the soles so the straps don’t pop out the way they do in generic flip-flops. She’s also learned patience: The worst part of business, Robinson says, is “waiting for stores to decide” if they want her goods on their shelves. She’s also waiting to spend her profits. “My Dad won’t let me touch the money,” she says. “It’s for college.” For special purchases such as a new iPhone she relies, like normal teenagers do, on cash saved from birthday and holiday gifts.